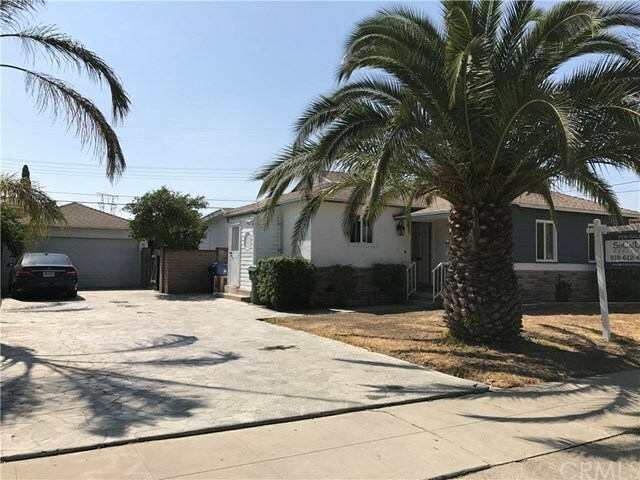 Don't miss this 3 bedroom 2 bath home centrally located in North Hollywood. It has 1,515 sq ft of living space and sits on one of the largest lots in the neighborhood at 6,799 sq ft. It has a 2 car garage and an extra storage room with a long driveway. It has a nice size living room open to the dining room and the den. The living room has a fireplace and the stepdown den has an entertaining bar. The kitchen is also open to the dining room and has plenty of cabinets. All of the existing appliances are included with no warranty including the frig, washer and dryer. All bedrooms are good size and the master bedroom the largest of the three. There is nice closet space throughout the house. It has central air and heat. The A/C might need some tlc. There is newer carpet throught the hallway and bedrooms. The back and side yard have concrete and planters. It will make the right family a great home.